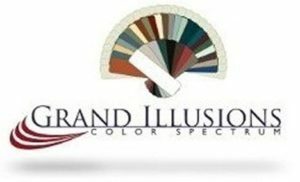 Grand Illusions™ Color Spectrum brings thirty five principal colors to the vinyl railing market, the widest choice of colors in the vinyl deck railing industry. 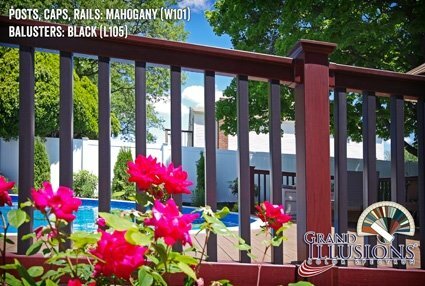 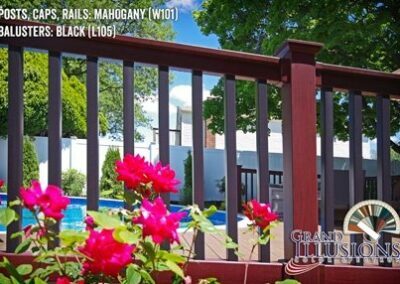 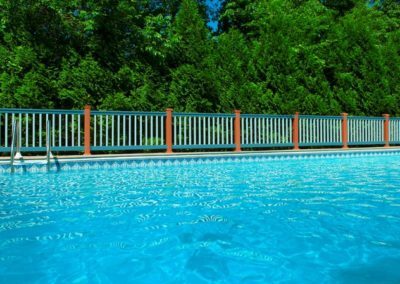 Grand Illusions™ Color Spectrum Vinyl Deck Railing provides the highest quality, professional grade ICC-ES AC174 Certified ‘safest’ material available for your peace of mind. Made of ASTM F964-09 compliant vinyl Grand Illusions™ gives you the flexibility to Mix ‘n’ Match for endless possibilites or custom match an existing color. 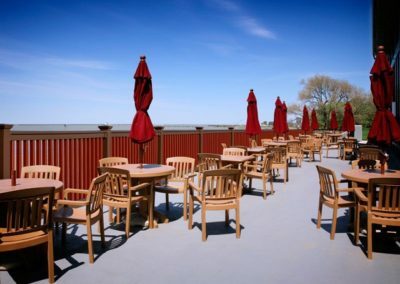 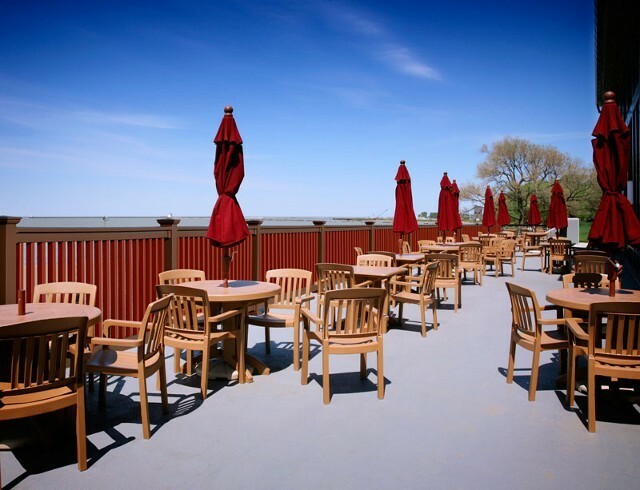 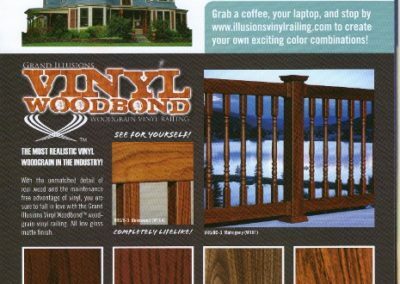 Along with four of the most desireable wood grains in the Grand Illusions™ VinylWoodbond Vinyl Railing series, Grand Illusions™ Vinyl Deck Railing is able to deliver the perfect solution for your railing needs. 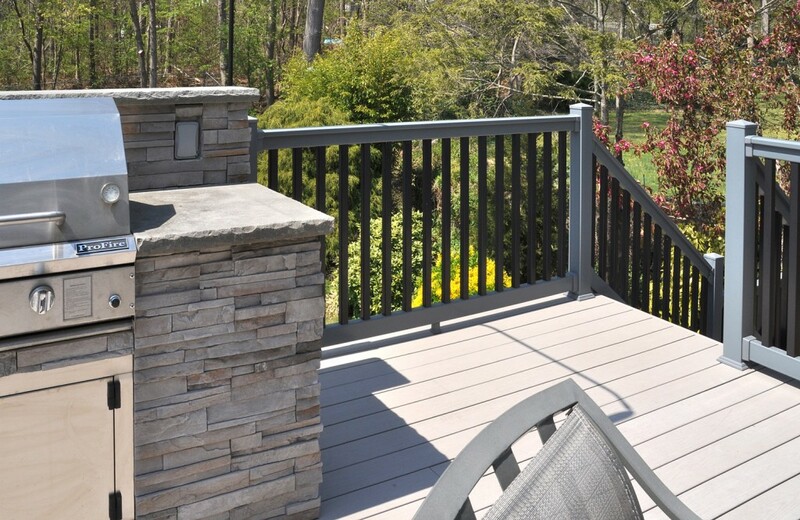 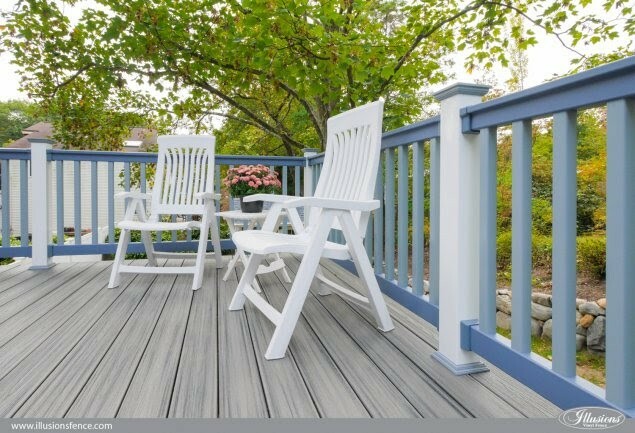 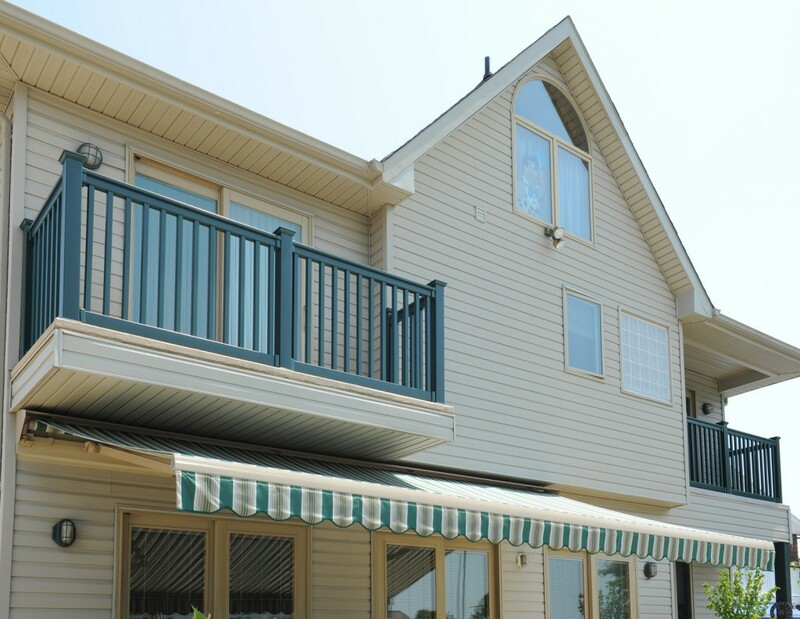 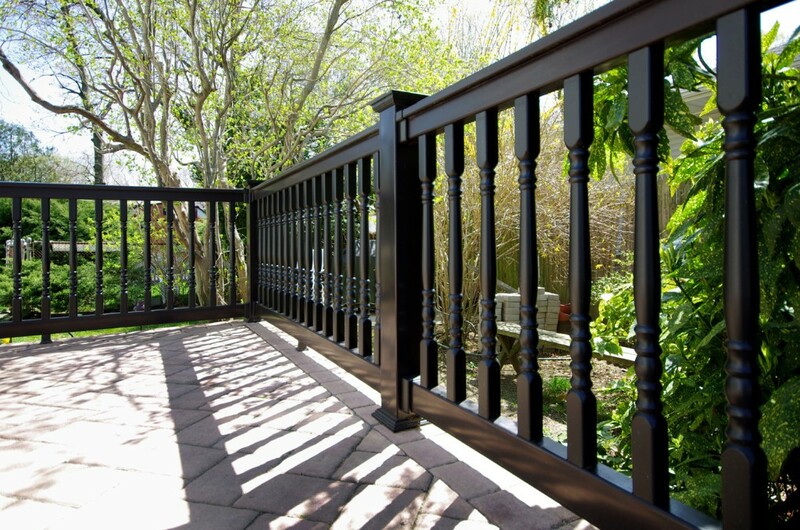 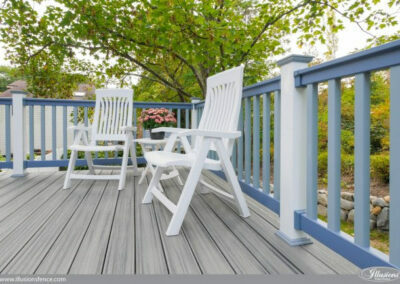 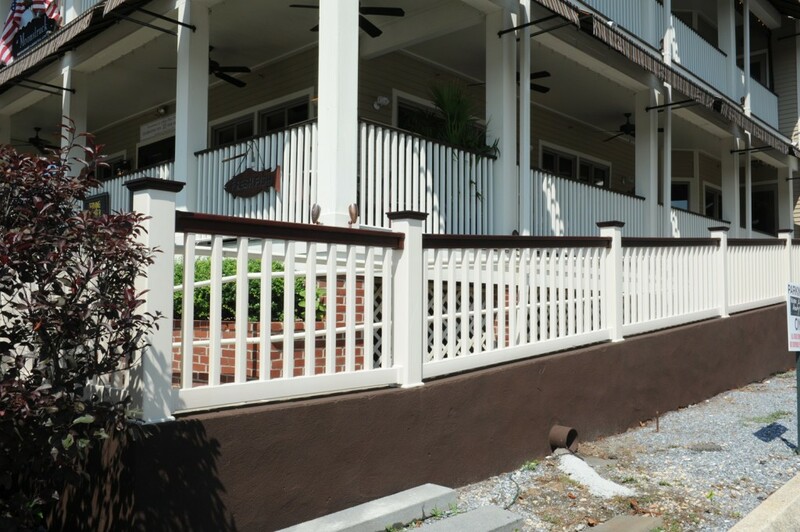 The Landscape and Estate series provide a low gloss, matte finish for the traditional look of painted wood with the convience of low maintence vinyl railing. 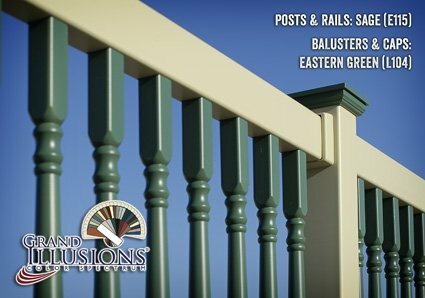 Designed with the sole purpose of allowing your creativity to flow, Illusions™ Vinyl Railings Illusions Color Spectrum™ and Grand Illusions WoodBond™ Series of color and woodgrain products are the next step in the evoloution of the vinyl fence. 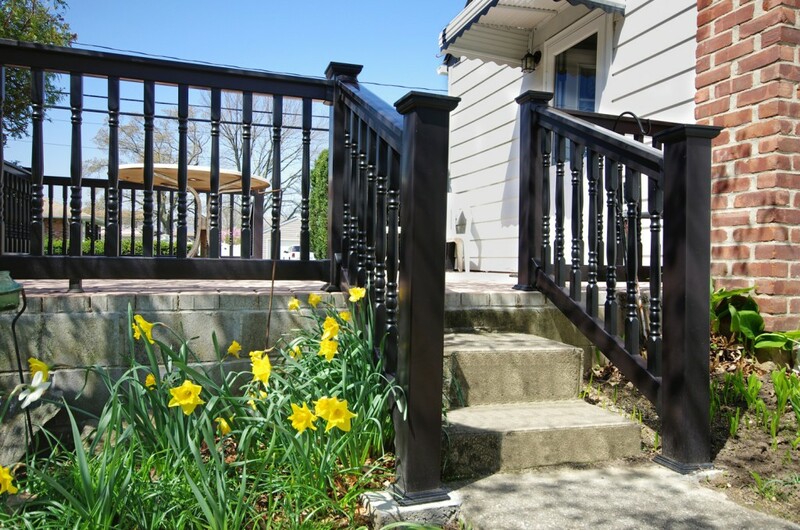 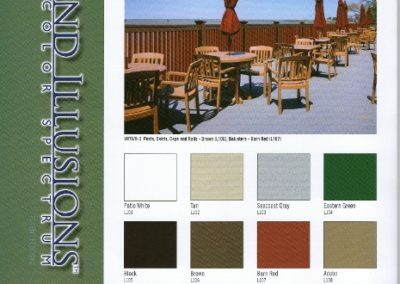 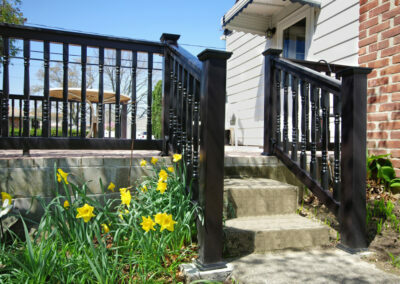 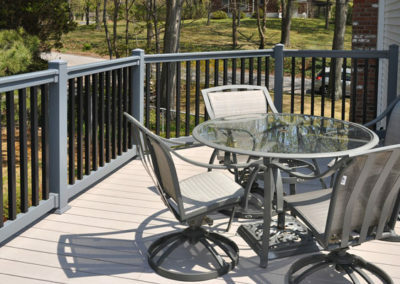 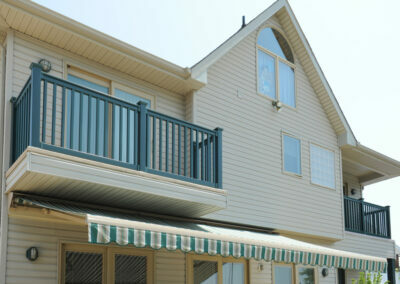 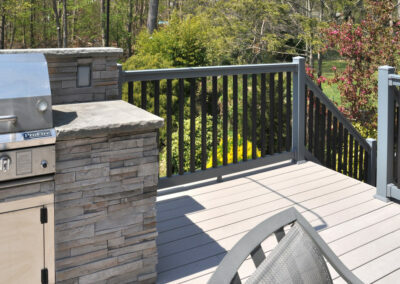 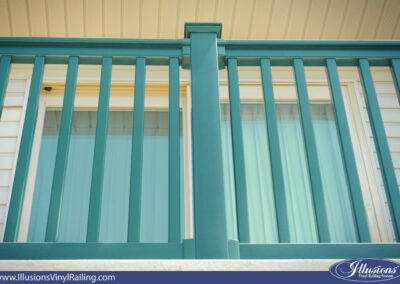 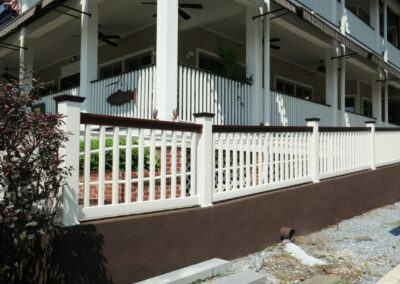 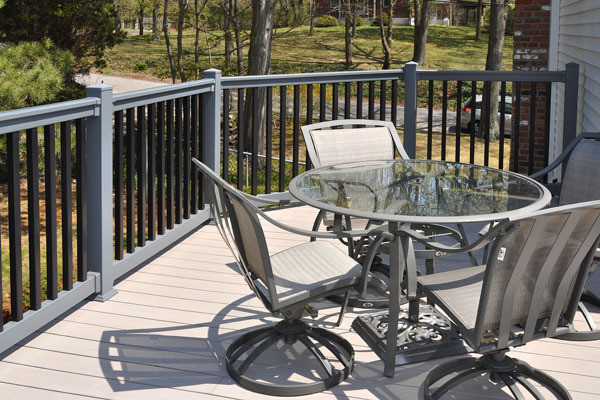 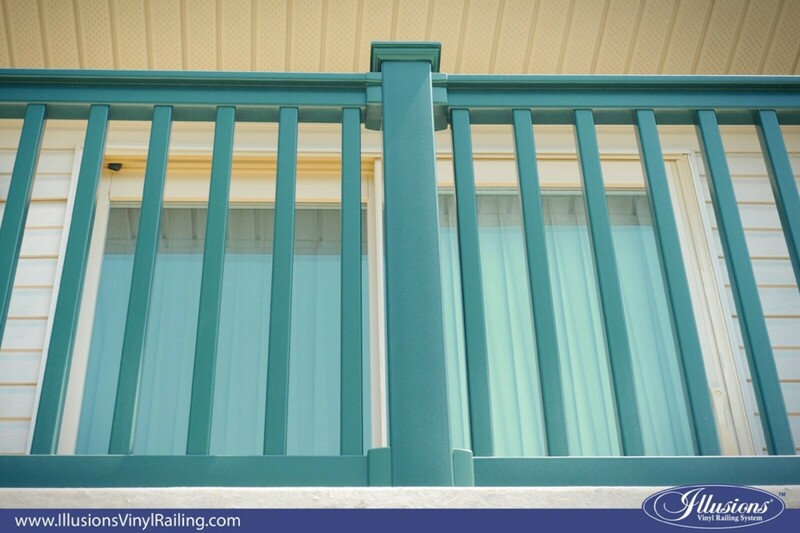 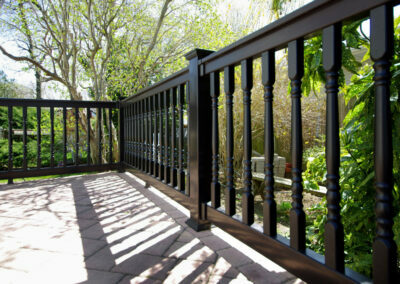 Never before has a vinyl railing line been offered with such a wide variety of color options. 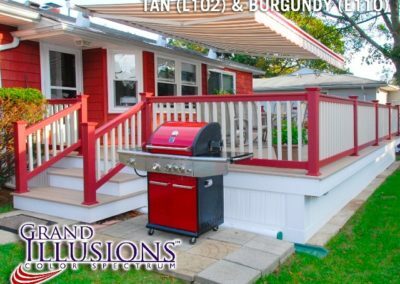 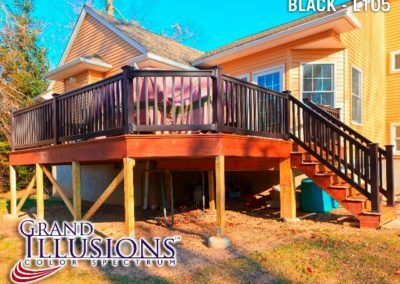 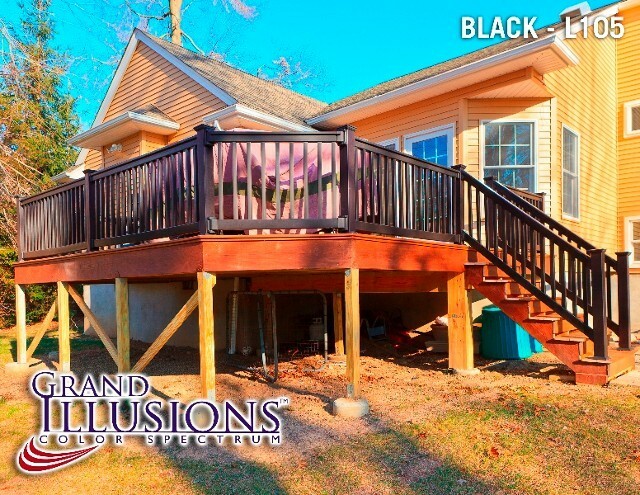 You are now able to Mix ‘n’ Match your Illusions™ Vinyl Deck Railings with the colors of your home or business. The possibilities are endless! 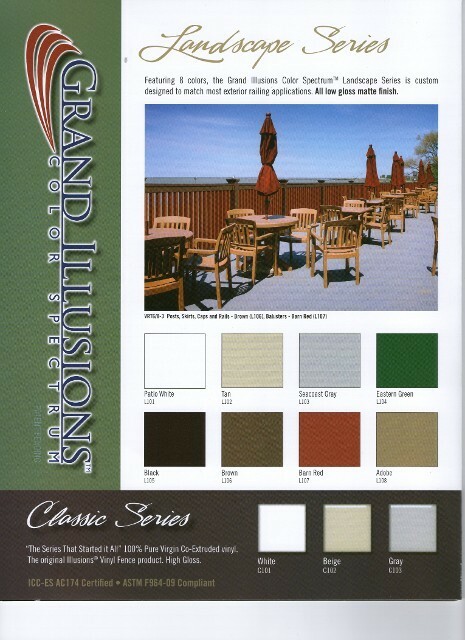 Grand Illusions Woodbond™ offers the most realistic woodgrain in the vinyl fence industry. 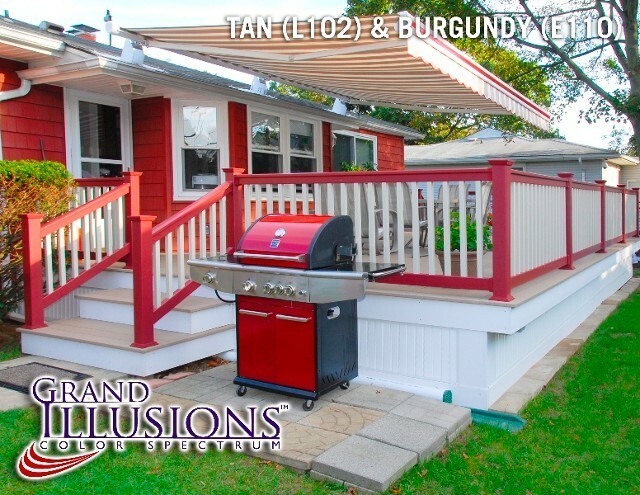 With the unmatched detail of real wood and the advantage of maintenance free vinyl in a low gloss finish offered in four of the prettiest woods, you will be sure to find a style that is perfect for you! 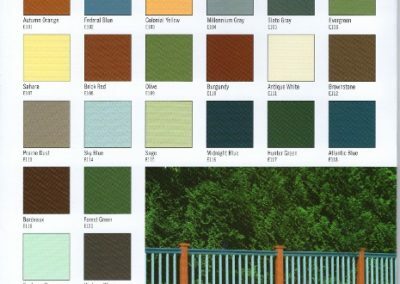 Please visit our ‘products page’ to see the other premium quality, professional grade fence products we offer. 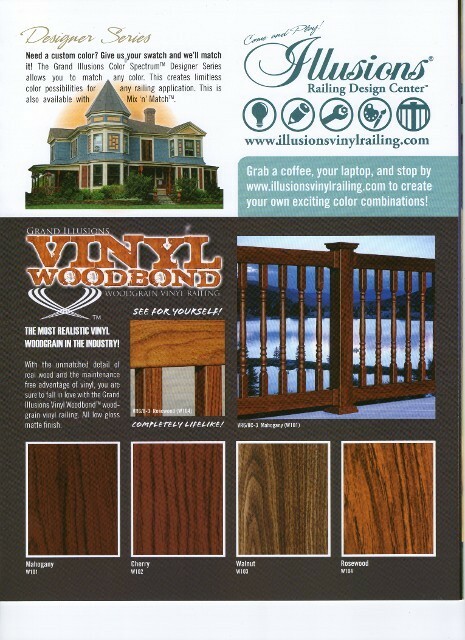 We Ship everwhere in the U.S. A. 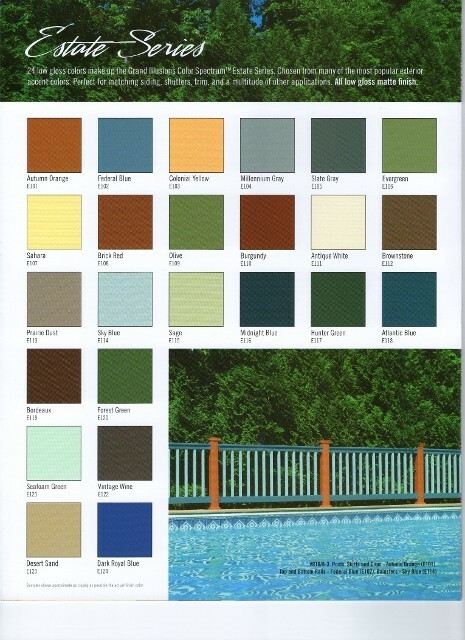 All Illusions Vinyl Fence products are manufactured to the rigid standards set by the VMA and the ASTM.